This is Selva from Coimbatore. Thank you very much for the really inspiring write-up. I would like to get that heavenly experience at least once in my lifetime. I have heard that people who would like to enter the small cave (which Rajnikanth entered) should have got Kriya Yoga Deeksha. Is it so? Please do mail me (selva_solo@yahoo.com). 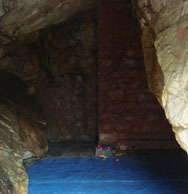 well, there are few babaji caves, one in dwarhat (ranikhet) were goutham visited, one visited by super star. 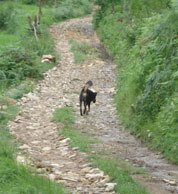 one in paharpani forest, one just behind tungnath temple. and gowrisankar peedam in badrinath which many have said you will feel the eternal bliss when entering the cave.however, it cant be visited without the babji’s ashirwad.this place is well protected and surrounded by mountains. I am suren reddy age 22 from tirupati in Andhra Pradesh. studying B.tech 3rd year. i am addicted to spiritual things. Almost , I am making my self a mental case. ven not able to concentrate on my education. Always i am feeling like going to himalayaas and meat Mr. Mahavathaar Babaji. I dont know why I am feeling like this. the thought of spiritual things discouraging me in my education. I dont know , whom to tell and whom to explain. Really , I am fed up with these nasty and useless spiritual things. I hate them most but not able forget abpout these all. You have visited Babaji, can u plz tell him to give me some energy to control myself. really i am helpless and hopeless. But i want to continue my education and wanna give up spiritual things include babaji. please tell me how to go babaji cave. Dear Gautam, I am already introduced to you by posting my comments in Mahavtar Babaji â€“ Ageless Sage, today only I am fortunate enough to go through this site, I should say you are doing a wonderful service to Babaji and his disciples, my heartfelt wishes to you. Regarding the Dog which was guiding you in Himalayas was sent by Babaji itself. I would like to share my experience; I went to Saduragiri and Sadasiva Konai both are in hill top there also we were guided by dogs. It has come with us from foothill to top and stayed with us and brought us back. This happens every time we go there. Remember Babaji will come to help us in any form so we should be alert. The following is the statement of Babaji which is extracted from Book The Voice of Babaji. Guide & Helper, Lover, friend! To go beyond the limitations of the physical senses and sense organs is Prithyaharam. 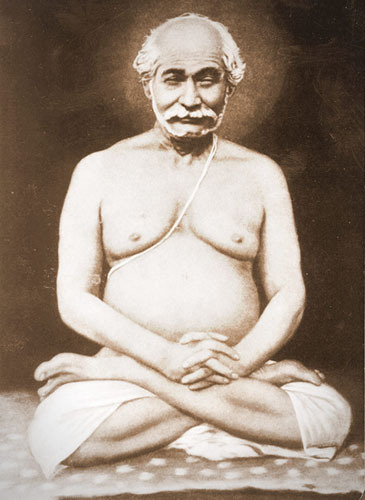 To focus the mind on God is Tharanai. Insecently to think of God like a stream of oil is Dhayanam. See the hidden light in the midst of a war be ready to listen and accept his commands. In the midst of the crowd try to understand the slightest gesture. 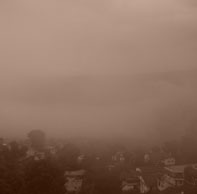 In the midst of the wordly dust and din of this earth listen to his soft voice. It’s a life time experience which one will have only if he/she is destined to get it &/ also if BABAJI WILLS IT. Your explanation is great, In tiruvannamalai I came across a person who mentioned to have seen Babaji and other mystics and he is doing lot of siddhis including flying etc I am astonished to see but he is not revealing who he is !!! Ramu: Are you referring to the Guruji mentioned on http://sidharindia.com or someone else? I don’t have any knowledge on him, so kindly tell more. do you know anymore sites on babaji…. Hi Gautam, I made my visit to Babaji cave after the invite from him..here is the link to my snaps! I am from Chennai, I went to Rishikesh and stayed there for 3 days and thought came in and started to Kathgodam from Rishikesh and then Ranikhet, Dwarahat and Dunagiri hills. I found a guide at the YSS ashram and thus reached the Babaji cave. For the benefit of all of us, could you please describe where the small cave lies? From the timings of the photographs, it looks like the time taken to reach the ‘small’ cave from the ‘normal’ cave is just 20 mins! Rajnikanth visits this small cave! I agree, but I’m curious about the location. 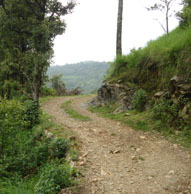 Is it upwards on way towards Pandukholi – which is the top of the hill, also known as hollow mountain (it is said that the majority of Babaji’s gufa is underground and inaccessible). Well Said, I understand you would have had a tough time in reaching the caves, your blog was useful. 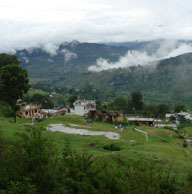 However I was able to correlate the places you had mentioned after I reached there like haldwani, almora etc. I strongly believe my journey to the cave is happened as per Babaji wish..I have not planned anything…I booked my tickets a day before start of my journey..my parents were afraid that I am travelling all alone to rishikesh and from there i didnt tell them I am going to babaji cave, after reaching there I had called up them. Babaji was with me all the way during my travel and completed visit to the cave in a day. I shall write shortly on my blog. Ok, now about the small cave its only 5 mins from the big cave, u have to step down from the big cave and then on the top right u can see the small cave. This can be identified while returning to the path u had come in a small diversion will be there one leading to ground and one leading upwards and there u can see a short path leading to the cave. About the photos, I was totally stunned..you are true..when the photo was clicked there were no light and later wen we saw we realised.. I would say this visit was because of grace of the god.. Thank you for sharing these great photos. While entering the small cave, you seem to go down deep. Is it so? Is the cave too narrow to be very difficult to enter? Inside the cave, there seems to be enough space. Pls tell us in detail. My interest to visit Babaji’s cave is even more triggered after looking at the photos of small cave. 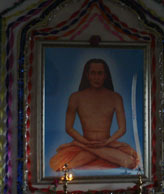 Hope to see that holy place at least once in my lifetime if Babaji wishes so. Looking forward to read your write-up in your blog soon. babaji is a mahavtar (a god) who is coming on earth for save to us. Recently one tamil magazine published an article about this cave. I was induced. i planed to visit this cave immediately. I searched many articles about this cave in google. your experience is only useful among i searched items. I immediately went there. But, i failed to find out and i returned. out”. Did you visit Doonagiri area and could not find the cave? Thank you for that inspirational insight of Babajis cave.One day my family and I will make that trip . The baba cave related article published on: 23rd sep, 27th sep. 30th sep and 4th oct. The title of article: Manthira kugail Ragasiya Rajini. 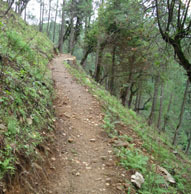 But their prescribed route to baba cave is very much longer one. Very informative write-up and lively presentation that made me feel as if I was there all the way through… You are really blessed!